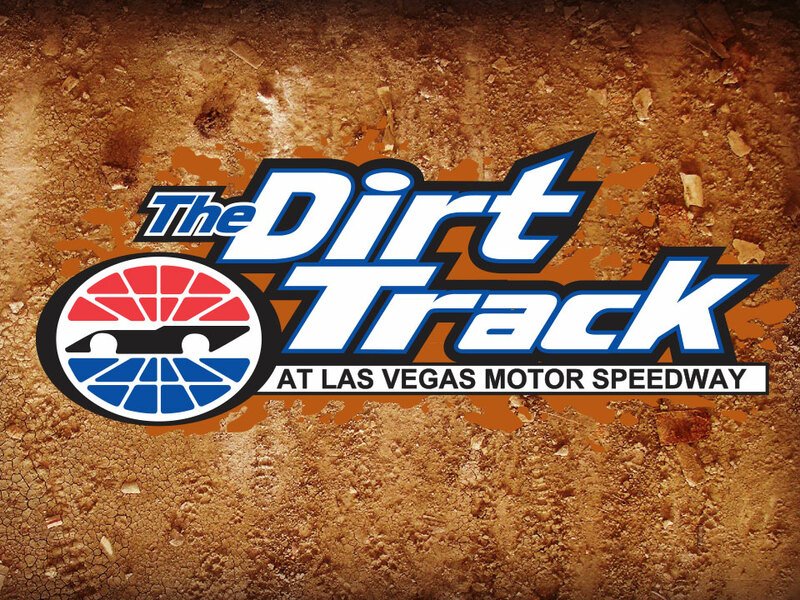 LAS VEGAS, Nev. – Pre-entries for the Nov. 7-10 Duel In The Desert at Las Vegas Motor Speedway have already reached 260. 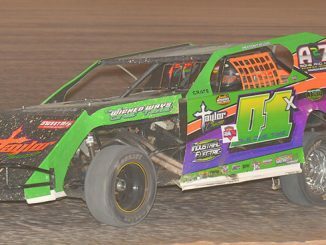 One hundred and seventy-two IMCA Modified drivers and 88 Karl Chevrolet Northern SportMod drivers are entered in the 21st annual event. That’s 31 more Modified and 25 more SportMod entries than for the same time a year ago. 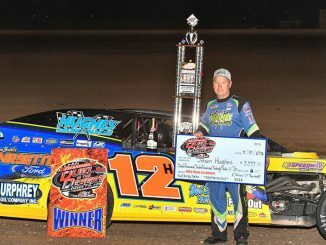 At stake at the biggest event of the season in the Larry Shaw Race Cars Western Region is a top prize of $7,777 as well as a 2019 Fast Shafts All-Star Invitational ballot berth for the Modifieds while SportMods vie for $1,777 to win. The Duel will be contested on the half-mile Dirt Track. In addition to Nevada, entries now in hand are from Arizona, Arkansas, California, Colorado, Idaho, Illinois, Iowa, Kansas, Minnesota, Missouri, Montana, Nebraska, New Mexico, North Dakota, Ohio, Oklahoma, Oregon, Texas, Utah, Washington and Wyoming, as well as the Canadian provinces of Alberta, British Columbia and Saskatchewan. Chris Abelson, Sioux City, Iowa; Chase Allen, Midlothian, Texas; Ricky Alvarado, Delta, Colo.; Paris Archie, Sparks; Troy Baal­horn, Glenrock, Wyo. ; Chaz Baca, Mesa, Ariz.; Jerry Bailey, Pocatello, Idaho; Tim Balding, Prundedale, Calif.; Christy Barnett, El Paso, Texas; Earl Bax­ter, Sheridan, Wyo. ; Jason Beaulieu, Campbell River, B.C. ; Eddie Belec, Arvada, Colo.; Tanner Black, Otis, Kan.; Roger Bonneville, Calgary, Alb. ; Randy Brown, Chowchilla, Calif.; Scott Brown, Meriden, Kan.; Cody Burke, Salias, Calif.; and Dustin Cady, Albany, Ore.
Justin Cady, Albany, Ore.; Tim Cecil, Merced, Calif.; Kellen Chadwick, Oakley, Calif.; Matt Christopherson, Gillette, Wyo. ; Daniel Cleveland, Rock Springs, Wyo. ; Duane Cleveland, Olivehurst, Calif.; Troy Cordes, Dunkerton, Iowa; Bill Cornwall, Pocatello, Idaho; Ryan Daves, Bakersfield, Calif.; Nick DeCarlo, Martinez, Calif.; Shane DeMey, Denison, Iowa; Zane DeVilbiss, Farmington, N.M.; Shane DeVolder, Pacifica, Calif.; Ethan Dotson, Bakersfield, Calif.; Matthew Drager, Albany, Ore.; Scott Drake, Diamond, Mo. ; and Joe Duvall, Claremore, Okla.
Tyson Evans, Yuma, Ariz.; Jarod Fast, Chowchilla, Calif.; Grey Ferrando, Stayton, Ore.; Jerry Flippo, Bakersfield, Calif.; Kelsie Foley, Tucson, Ariz.; Troy Foulger, Oakley, Calif.; Jeremy Frenier, Fort Morgan, Colo.; Andy Gage, Whiting, Iowa; Ryan Gaylord, Lakewood, Colo.; Isaiah Geisel, Torquay, Sask. ; Matt Gilbertson, Watson, Minn.; Albert Gill, Central Point, Ore.; Jordan Grabouski, Beatrice, Neb. ; Heath Grizzle, Drasco, Ark. ; Greg Gus­tus, Brighton, Colo.; Chase Han­sen, Myton, Utah; and Brian Harding, Oakville, Wash.
Brenda Kirby, Bullhead City, Ariz.; Buddy Kniss, Antioch, Calif.; Chester Kniss, Antioch, Calif.; Austin Kuehl, Cave Creek, Ariz.; Jeff Larson, Freeport, Ill.; Danny Lauer, Nipomo, Calif.; Enoch Lucero, Glendale, Ariz.; Preston Luckman, Coos Bay, Ore.; Ross McCartney, Lahoma, Okla.; Ryan McDaniel, Olivehurst, Calif.; Mitch Ma­chado, Rohnert Park, Calif.; Zach Madrid, Phoenix, Ariz.; Jim Mathieson, Sioux City, Iowa; Travis Metz, Blackfoot, Idaho; Bill Miller, Yuma, Ariz.; Jonathan Mitchell, Pahrump; and Bobby Montalvo, Livermore, Calif.
Bob Moore, Sioux City, Iowa; Troy Morris III, Bakersfield, Calif.; Troy Morris Jr., Bakersfield, Calif.; Josh Most, Red Oak, Iowa; Matt Murphy, Susanville, Calif.; David Murray Jr., Oberlin, Kan.; Joel Myers, Sebastopol, Calif.; Dale Neitzel, Billings, Mont. ; Chris Nie­man, Quincy, Calif.; Steven Noland, Terra Bella, Calif.; Justin O’Brien, West Union, Iowa; Lawrence O’Connor, Port Hardy, B.C. ; Nick O’Neil, Tucson, Ariz.; Mike O’Patik, Fort Morgan, Colo.; Mitchell O’Patik, Canal Winchester, Ohio; Joey Olschowka Jr., Live Oak, Calif.; and Tim Olschowka, Quincy, Calif.
Allen Owen Jr., Pocola, Okla.; Jacob Pace, Kearny, Ariz.; Reed Payne, Idaho Falls, Idaho; Mike Petersilie, Springfield, Mo. ; Terry Phillips, Springfield, Mo. ; Jason Pike, Pahrump; Freddie Plourde, Santa Rosa, Calif.; Ryan Porter, Atwater, Calif.; Matthew Ratzlaff, Monte Vista, Colo.; Vincent Raucci, Las Vegas; Vinny Raucci, Las Vegas; Chett Reeves, Bak­ersfield, Calif.; Clint Reichenbach, Santa Maria, Calif.; Butch Reid, Carlsbad, N.M.; Jeremy Richey, Medford, Ore.; Doug Ri­vera, Yuma, Ariz.; and Ryan Roath, Peoria, Ariz.
Duane Rogers, Imperial, Calif.; Kent Rosevear, Yuma, Ariz.; Joel Rust, Grundy Center, Iowa; Johnny Saathoff, Beatrice, Neb. ; Lance Salo, Payson, Ariz.; Cory Sample, Winnemucca; Robert Sanders, Bakersfield, Calif.; Robby Sawyer, Bakersfield, Calif.; Dennis Schoenfeld, Van Bu­ren, Ark. ; Donald Schott, Happy Valley, Ore.; Lucas Schott, Chatfield, Minn.; Jerry Schram, Vancouver, Wash.; Justin Schweit­zer, Bakersfield, Calif.; D.J. Shannon, Merced, Calif.; A.J. Sharpensteen, Amarillo, Texas; Blair Shoemaker, Selah, Wash.; and Riley Simmons, Susanville, Calif.
Chris Simpson, Oxford, Iowa; Steve Simpson Jr., Kingman, Ariz.; Kevin Smith, Sedro Wooley, Wash.; David Spears, Gardena, Calif.; Roy Spielman, Mills, Wyo. ; Anthony Slaney, Martinez, Calif.; Sean Stacy, Kearny, Ariz.; Bubba Stafford, Glendale, Ariz.; Alex Stanford, Chowchilla, Calif.; Ross Statham, Redcliff, Alb. ; Caleb Stone, Loving­ton, N.M.; Jeff Streeter, Madera, Calif.; Stephen Streeter, Madera, Calif.; Joshua Stringer, Pahrump; Mickey Stubbings, Helper, Utah; Jeff Taylor, Cave City, Ark. ; Peyton Taylor, Batesville, Ark. ; and Michael Thing, Campo, Calif.
And Jeff Thomas, Petaluma, Ca­lif. ; Blake Thornell, Apple Valley, Calif.; Dylan Thornton, Santa Maria, Calif.; Ricky Thornton Jr., Clive, Iowa; Dominic Ursetta, Arvada, Colo.; Justin Villanueva, Atwater, Calif.; Kenny Vollmer, Idaho Falls, Idaho; Danny Wagner, Bay Point, Calif.; Tim Ward, Chan­dler, Ariz.; James Welshonse, Medford, Ore.; Cameron Williams, Mohave Valley, Ariz.; Collen Winebarger, Corbett, Ore.; Kenny Wyman Jr., Avondale, Ariz.; Braxton Yeager, Green River, Wyo. ; Justen Yeager, Green River, Wyo. ; Derick Young, Hines, Ore.; and Kirby Zielinski, Bluffton, Alb. Guy Ahlwart, Antioch, Calif.; Chase Alves, Chandler, Ariz.; Chris Anderson, Williston, N.D.; Terry Bahr, Gilbert, Ariz.; Brady Bjella, Williston, N.D.; Lance Borgman, Beatrice, Neb. ; Jorddon Braaten, Central Point, Ore.; Sheyne Bradley, Casa Grande, Ariz.; Keith Brown Jr., Pittsburg, Calif.; Robby Claborn, Santa Maria, Calif.; Joshua Cordova, Yuma, Ariz.; Brent Curran, Antioch, Calif.; Jimmy Davy, Yuma, Ariz.; Michael Dean, Santa Maria, Calif.; Wayne Dotson, Bakersfield, Calif.; Gary Dutton, Bakersfield, Calif.; and Chris Evoniuk, Dickinson, N.D.
Mike Ficklin, Paradise, Calif.; Jimmy Ford, Yuba City, Calif.; Les Friend, Galt, Calif.; Austin Frye, Taft, Calif.; Brendon Frye, Taft, Calif.; Shelby Frye, Chandler, Ariz.; Mark Garner, Antioch, Calif.; Jason George, Laveen, Ariz.; Braydon Gladd, Pahrump; Lupe Gomez, Phoenix, Ariz.; Todd Gomez, Antioch, Calif.; Cody Graham, Mesa, Ariz.; Joe Haines, Yuma, Ariz.; Nick Hankins, Bennett, Colo.; Shawn Harker, Nebraska City, Neb. ; B.J. Haslam, Shelley, Idaho; Cory Hemphill, Yuma, Ariz.; and Crystal Hemphill, Yuma, Ariz.
Rex Higgins, Bloomfield, N.M.; Jeremy Hoff, Copperopolis, Calif.; Garrett Jernagan, Bakersfield, Calif.; Bran­dyn Johnson, Mesa, Ariz.; Kevin Johnson, Bakersfield, Calif.; Michael Johnson, Bakersfield, Calif.; Tate Johnson, Mesa, Ariz.; Clifton King Jr., Pahrump; Dan Kline, Ankeny, Iowa; Luke Krogh, Dickin­son, N.D.; Taylor Kuehl, Cave Creek, Ariz.; Billy Lun­dock, Golden, Colo.; Chris McKellar, Bakersfield, Calif.; Justin McPherson, San Martin, Calif.; Speedy Madrid, Phoe­nix, Ariz.; Austin Manzella, Bakersfield, Calif.; and Matt Mayo, Bakersfield, Calif..
Matthew Mayo, Bakersfield, Calif.; Matt Micheli, Chico, Calif.; Jarrod Mounce, Atwater, Calif.; Jason Nation, Bakersfield, Calif.; Bruce Nelson, Merced, Calif.; Craig Nieman, Reno; Cody Olsen, Omaha, Neb. ; Cody Parker, Merced, Calif.; Andrew Peckham, Grass Valley, Calif.; David Pitt, Rock Springs, Wyo. ; Slade Pitt, Rock Springs, Wyo. ; Braxton Possinger, Medford, Ore.; Jason Pugh, Clovis, Calif.; Christina Ratzlaff, Monte Vista, Colo.; Michael Reneau, Airdrie, Alb. ; Kyler Reynolds, Surprise, Ariz.; Danny Roe, Turlock, Calif.; and Ty Rogers, Somerton, Ariz.
Chase Rudolf, Prole, Iowa; Matt Ruf, Grand Junction, Colo.; Fred Ryland, Brentwood, Calif.; Jake Sa­chau, Denison, Iowa; Matt Sanders, Brookings, Ore.; Ricky Saunders, Colorado Springs, Colo.; Scott Saunders, Colorado Springs, Colo.; Arie Schouten, Blair, Neb. ; Michael Shearer, Atwater, Calif.; Billy Sim­kins, Bakersfield, Calif.; Nick Spainhoward, Bakersfield, Calif.; Josh Stoks, Prescott Valley, Ariz.; Cody Thompson, Sioux City, Iowa; Kendra Vollmer, Idaho Falls, Idaho; Don West, Warren, Ore.; Kelly Wilkinson, Caruthers, Calif.; Kyle Wood, Bakersfield, Calif.; and T.J. Wyman, Laveen, Ariz.
Runner-up in the Modified feature earns $3,250, with $2,250 for third, $1,750 for fourth, $1,500 for fifth, $1,250 for sixth, $1,150 for seventh, $1,100 for eighth, $1,050 for ninth and $1,000 for 10th. 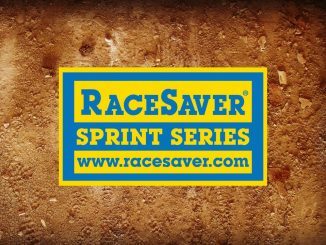 A minimum of $777 will be paid to start the main event and to the winners of Thursday and Friday, Nov. 8 and 9 qualifying features. Second place in the Northern SportMod feature pays $777. Thursday and Friday qualifiers both pay $500 to win. There’s a Hot Wheels theme for this year’s Best Appearing Car contest at the Duel and drivers in both divisions are eligible. Cash awards of $600, $300 and $150 go to the top three drivers entered while contest sponsor School of Racing Graphics awards credits of $250, $125 and $75, respectively, to designers of the top three judged entries. More information about the Best Appearing Car contest is posted on the www.schoolofracinggraphics.com website. Terry Phillips is the four-time and defending Modified race winner. Chris McKellar won last year’s Northern SportMod headliner. Pit parking starts at 10 a.m. and practice runs from 4-8 p.m. on Wednesday, Nov. 7. Tech starts at 9 a.m. on Wednesday, at 8 a.m. on Thursday and at noon on Friday and Saturday. Racing starts at 4 p.m. Thursday, Friday and Saturday. Registration forms are posted on the www.lvms.com website. Weekend pit passes are $100 and re­served pit parking is available by calling 702 632-8213.